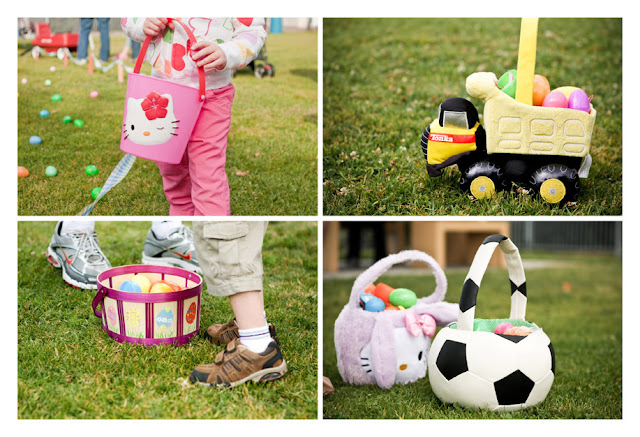 On Saturday morning I left the house early to take pictures at the annual Easter Egg Hunt that my church hosts for the local community. 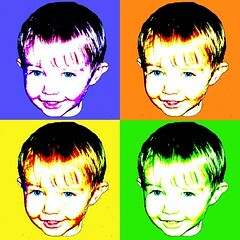 Harrison and the G.I.D. 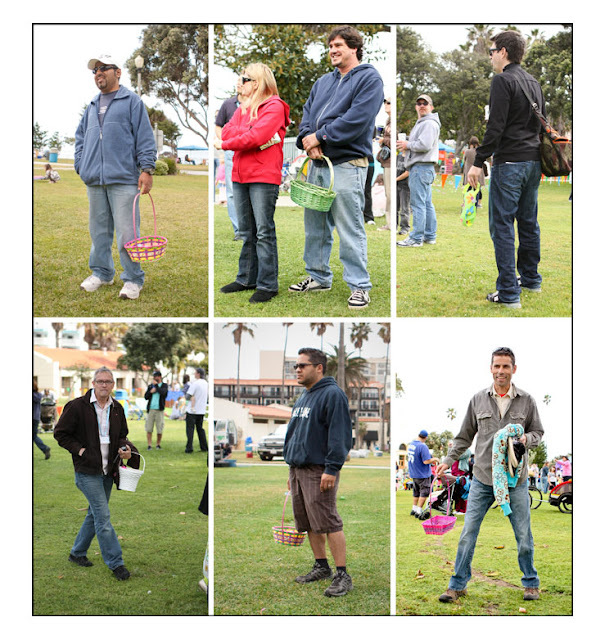 arrived later and shortly thereafter my hubby quickly noticed a reoccurring theme - Real Men Carry Easter Baskets. 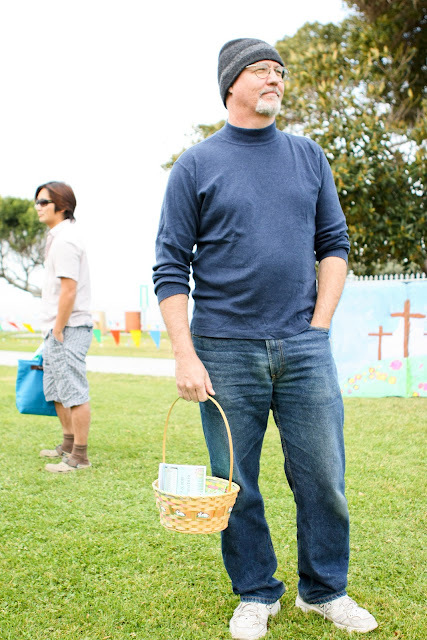 Yup, that my MAN in all his Easter-Basket-toting glory! After the hunt, as kids temporarily abandoned their baskets for the the thrills of the playground (until they crashed from their sugar highs) the hubby pointed at baskets in hand and on the ground and saying, "I know the father of that one, I saw the father belonging to this one..."
Real Men don't just carry Easter Egg Baskets, oh no, they wear and carry multiple children. 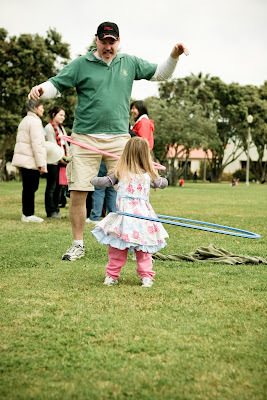 AND they hula-hoop with their daughter. Love it! It was soooooo stormy rainy up here in Northern Ca that it was really a weird Easter. Envious of the sunny Easter pictures everyone is posting! love that "real men" collage -- SO funny:). btw: if you want a partner for team-up thursday, just let me know...i've got one waiting :)!